do you know red velvet cake uses only egg whites? don’t trash the egg yolks after making ROSE’S heavenly CAKES: Rose Red Velvet Cake (page 83). stir in 10% by weight of sugar and freeze for near a year! 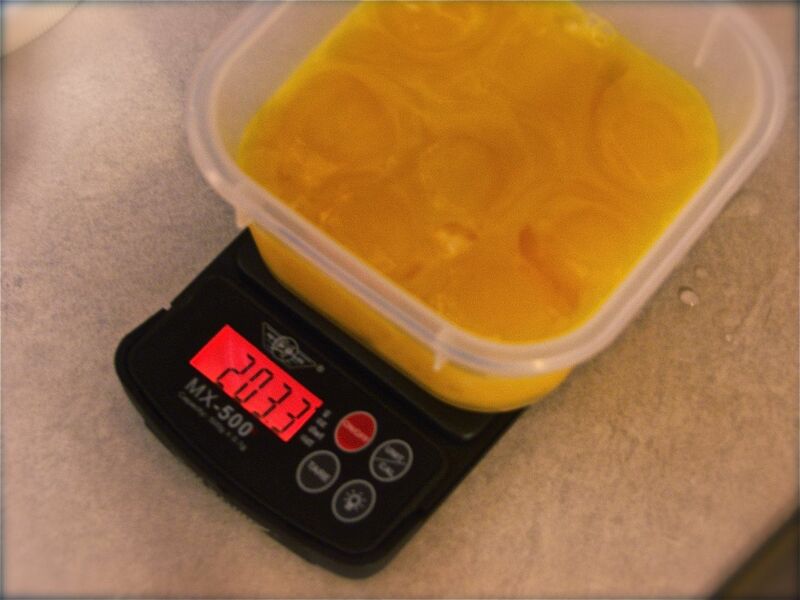 when you use these yolks, subtract the amount of sugar that comes from the frozen yolks. you don’t need to wait until you have a lot of yolks. i like to start with a medium sized plastic container, freeze, and keep adding more yolks/sugar until the container is full. indeed, the newly added yolks will freeze super fast, since touching the previously frozen ones. when the container is full, i pop the block of frozen yolks out by squeezing the plastic container, vacuum pack it, and now you have your plastic container free for other uses or to start a new batch of 10% sugared frozen yolks!